Split leather driver gloves get the job done! Characteritics include a good balance between abrasion resistance, dexterity, durability and comfort. The 3100HVI features an A grade split leather cow hide with shirred elastic back and a straight thumb. 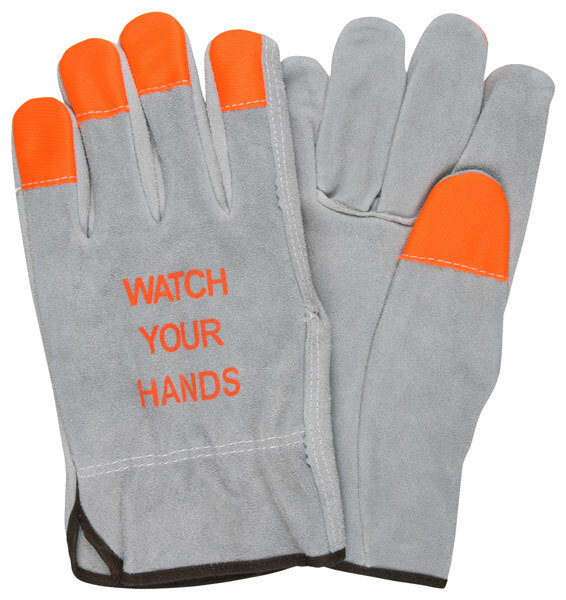 The orange polyester finger tips & orange "Watch Your Hands" logo on back of hand add hi-visibility properties and a reminder to stay safe.